LA ROCHEFOUCAULD, FRANÇOIS-ALEXANDRE-FRÉDÉRIC DE, Duc de LA ROCHEFOUCAULD-LIANCOURT, Duc d’ESTISSAC, author; b. 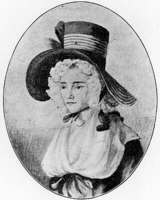 11 Jan. 1747 in La Roche-Guyon, France, son of Louis-François-Armand de La Rochefoucauld de Roye, Duc d’Estissac, and Marie de La Rochefoucauld, known as Mlle de La Roche-Guyon; m. 10 Sept. 1764 Félicité-Sophie de Lannion, and they had three sons; d. 27 March 1827 in Paris. When the French revolution began in 1789, François-Alexandre-Frédéric de La Rochefoucauld was elected to the National Constituent Assembly and served a term as its president. A liberal monarchist and confidant of King Louis XVI, he fled to England in 1792 and to Philadelphia in 1794. In May 1795 he embarked on a tour that covered much of the northern United States and Upper Canada. On 20 June, with five associates, he crossed the Niagara River to Fort Erie to be hospitably received by military officials who, the next day, took the party downriver to Fort Chippawa. 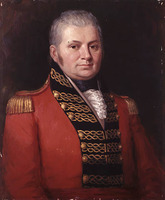 After viewing Niagara Falls, on 22 June they travelled to Newark (Niagara-on-the-Lake), where they became the guests of Lieutenant Governor John Graves Simcoe*. Although Mrs Simcoe [Elizabeth Posthuma Gwillim*] described the Frenchmen as “perfectly democratic and dirty,” La Rochefoucauld was favourably impressed with his hosts. He witnessed a meeting of the colonial legislature and watched a band of Tuscarora Indians performing dances and playing lacrosse. Simcoe took him on a trip to Burlington Bay (Hamilton Harbour) while his associates visited York (Toronto). On 10 July the party sailed for Kingston. Simcoe had told La Rochefoucauld that Governor Lord Dorchester [Guy Carleton*], because of concerns about French agents in Lower Canada [see David McLane*], had recently issued an order prohibiting foreigners from entering the colony. Although the duke had then persuaded Simcoe to write to Dorchester on his behalf, this effort came to nothing: on 22 July, while in Kingston, La Rochefoucauld learned that he would not be permitted to travel into Lower Canada. Insulted, the duke left immediately for Oswego, N.Y. In 1799 he returned to France, where his relationship with Bonapartist and Restoration governments was dignified but distant. 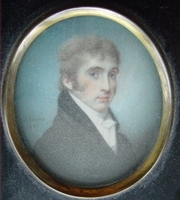 In 1814 he entered the House of Peers, remaining a member of that body until his death; he also held several honorary posts from which he was dismissed in 1823 because of his liberal opinions. Much of his time was devoted to a model farm on his estate at Liancourt. As well, he maintained the tradition of the Enlightenment, playing the roles of writer and social reformer. His activities and publications were concerned with education, health, poverty, savings banks, and prisons. The duke’s account of his North American journey had been published in Paris, Hamburg (Federal Republic of Germany), and London in 1799. In Upper Canada he had been a meticulous observer. He saw Simcoe’s political policies as “liberal and fair,” and admired his plans for the settlement and development of the colony. Simcoe’s anticipation of the construction of the Trent Canal, his preference for building the economy on agriculture rather than the fur trade, his ideas on defence, all favourably impressed the duke, who nevertheless saw obstacles to such projects; “the greatest of [these] consists in the Governor’s determination to return to England at the expiration of five years. A plan of such vast magnitude . . . can be carried into execution by him only, who was able to conceive it.” The duke wrote that Simcoe’s hatred for the United States had led him to boast of the houses he had burned while campaigning during the American revolution. This statement produced a calm denial from Simcoe. The lieutenant governor expected a considerable migration from the United States into Upper Canada, but the duke doubted that it would take place, partly because of the obstacles and limitations accompanying the granting of land titles, and partly because he thought that Simcoe overestimated the attachment of many Americans to the British monarchy. La Rochefoucauld noted the scarcity of hired help; he also claimed that soldiers were sometimes employed by their officers in civilian tasks, and that desertion from the army to free land and financial independence in the United States was a common occurrence. 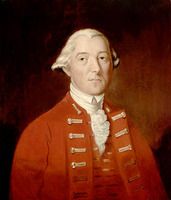 He observed that Simcoe planned to check desertion by offering land to any soldiers who would recruit their own replacements, but he had heard that Lord Dorchester would not agree to this scheme. An anti-imperialist, La Rochefoucauld speculated that Britain’s interest would best be served by rendering the Canadas independent. Less controversial were the duke’s reports on the geology, soil, climate, fauna, and flora of the colony. He observed the relations between the white and Indian peoples, and commented on the damaging effects of the use of alcohol. He described grist-mills, sawmills, defence works, and ships. In his narrative he included his impressions of life in Lower Canada based on information gleaned along the way and also on the journal of an associate who was allowed to visit there. He praised the hospitality of his hosts, but admitted that he never felt at home in British Upper Canada, where the anglophone community did not understand that even an émigré Frenchman would derive satisfaction from news of French rather than British victories in the European war. So comprehensive a report from an enlightened, cosmopolitan visitor is an invaluable historical document. La Rochefoucauld’s account appeared as Voyage dans les États-Unis d’Amérique, fait en 1795, 1796 et 1797 (8v., Paris, ), and in a two-volume English version, Travels through the United States of North America, the country of the Iroquois, and Upper Canada, in the years 1795, 1796, and 1797; with an authentic account of Lower Canada, translated by Henry Neuman and published in London later the same year. A new edition of the section dealing with Upper Canada, based on Neuman’s translation and incorporating contemporary comments and corrections by Sir David William Smith*, was prepared by William Renwick Riddell* and issued as “La Rochefoucault-Liancourt’s travels in Canada, 1795 . . . ,” AO Report, 1916. Other works written by La Rochefoucauld are listed in Biographie universelle (Michaud et Desplaces) and Nouvelle biographie générale. Paris, 1852–66). F.-A. [Aubert] de La Chesnaye-Desbois et – Badier, Dictionnaire de la noblesse . . . (3e éd., 19v., 1863–76; réimpr., Nendeln, Liechtenstein, 1969). [A.-M.-E.-P.-B. Castellane, Marquis de Castellane], Gentilshommes démocrates: le vicomte de Noailles, les deux La Rochefoucauld, Clermont-Tonnerre, le comte de Castellane, le comte de Virieu (Paris, ). T. S. Webster, “LA ROCHEFOUCAULD, FRANÇOIS-ALEXANDRE-FRÉDÉRIC, Duc de La Rochefoucauld-Liancourt, Duc d'Estissac,” in Dictionary of Canadian Biography, vol. 6, University of Toronto/Université Laval, 2003–, accessed April 25, 2019, http://www.biographi.ca/en/bio/la_rochefoucauld_francois_alexandre_frederic_6E.html.